Because when is it not time to do your nails? Further to the sheer black polish trend that has taken the nail art community by storm a couple months ago (see an old post about my knowledge of its roots), I decided to see what else I could use it for, if not just for emulating the look of black lace. 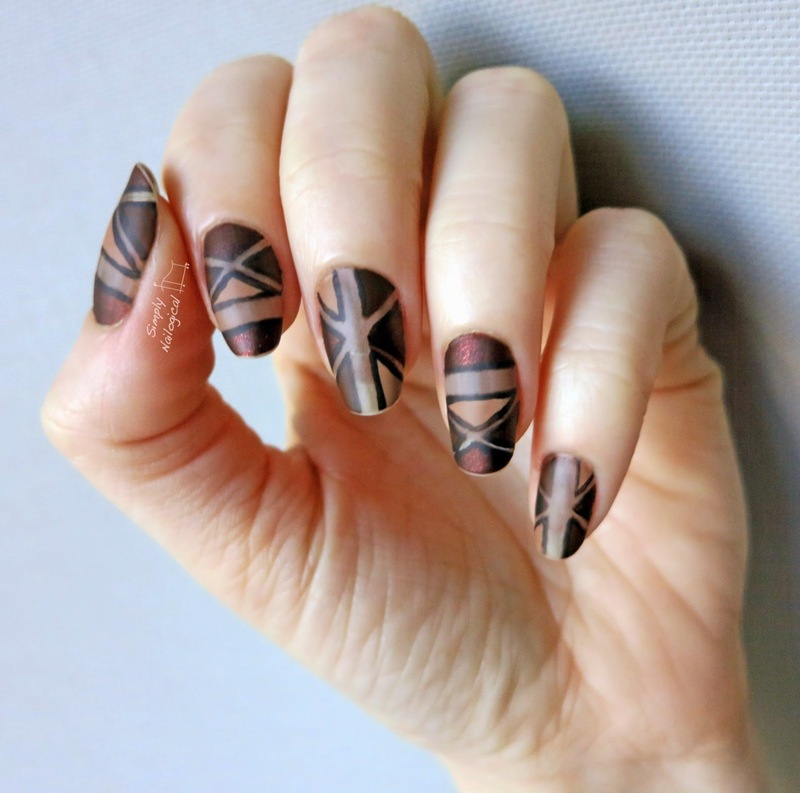 So I went with what I named on my computer as 'Brown amazon triangles' and what I think after mattifying ressembles brown amazonian clay. Like something my grandmother would have made potterty with. But for the sake of this post and making sense to other people, I think 'Random brown triangles' is probably the better name to go with. 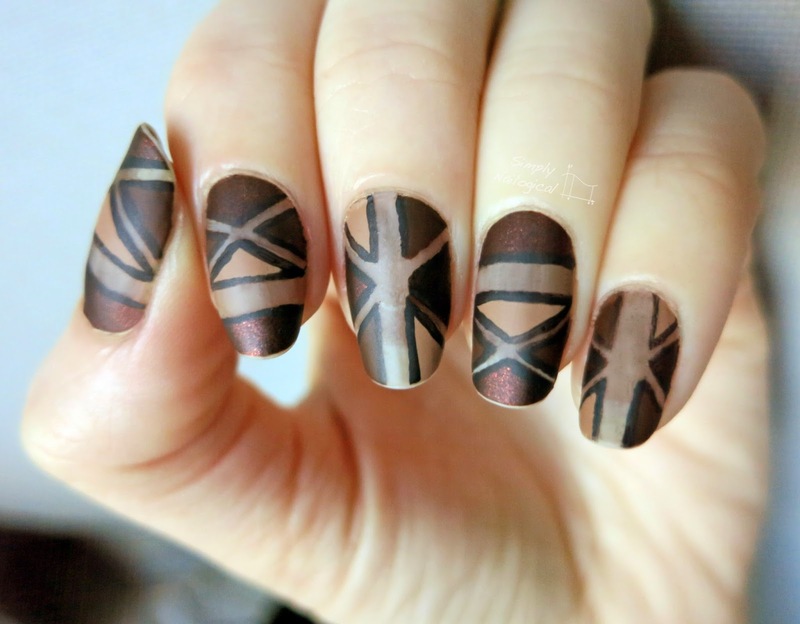 They sort of look tribal, minus the intricate details or dots people usually add to tribal manis. Whatever, I didn't even have a plan for these babies. It may not appear so at first glance, but there is sheer black polish used as the base in this mani. 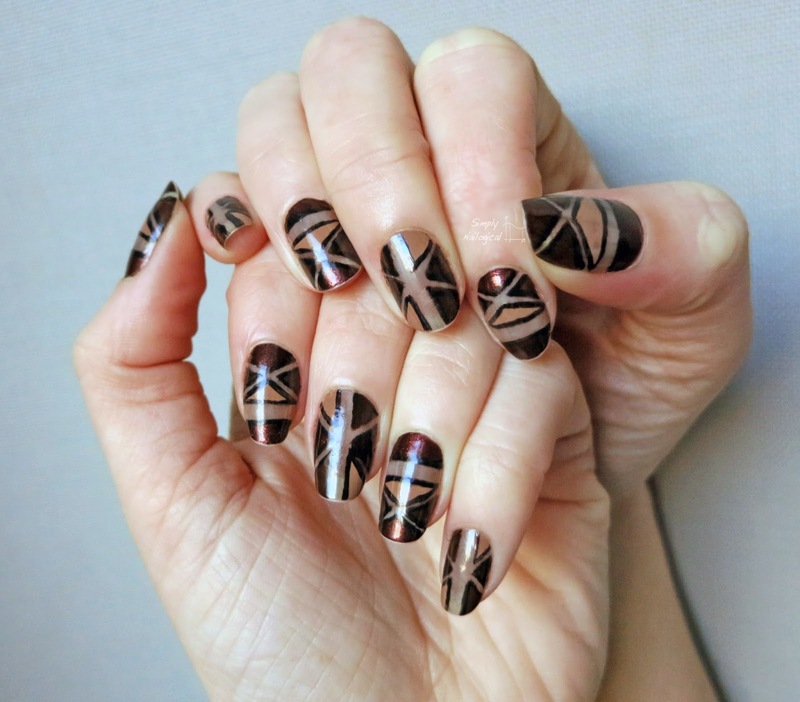 I used straight thick nail vinyls for the center lines, and regular skinny nail striping tape to guide the other thin lines. 1) Mix 8-20 drops of black polish in a clear polish to create a thin black translucent jelly polish. See Nailstorming's tutorial for a better idea. 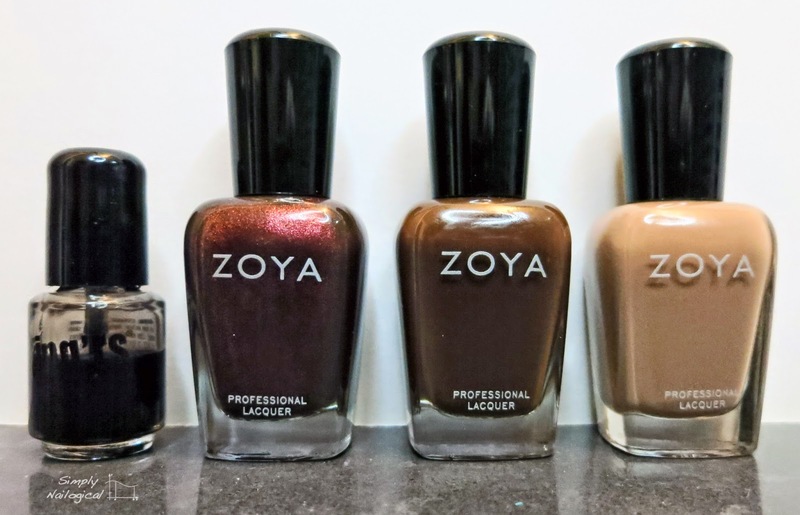 Apply one or two coats of the sheer black base to your nails, depending on how dark you made it. Let dry well. 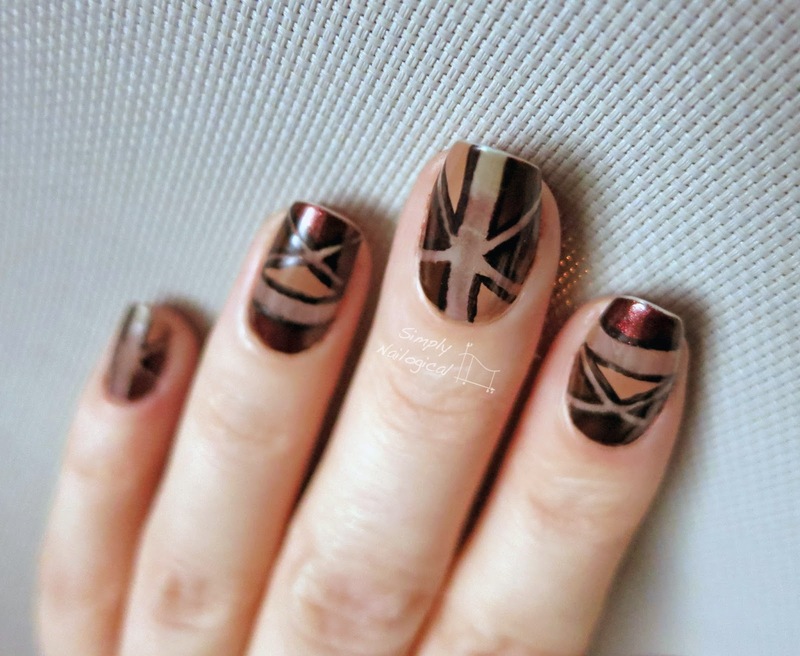 2) Apply thick nail vinyls or triple-up striping tape along the center of your nail, horizontally on some nails and vertically on others (your choice!) 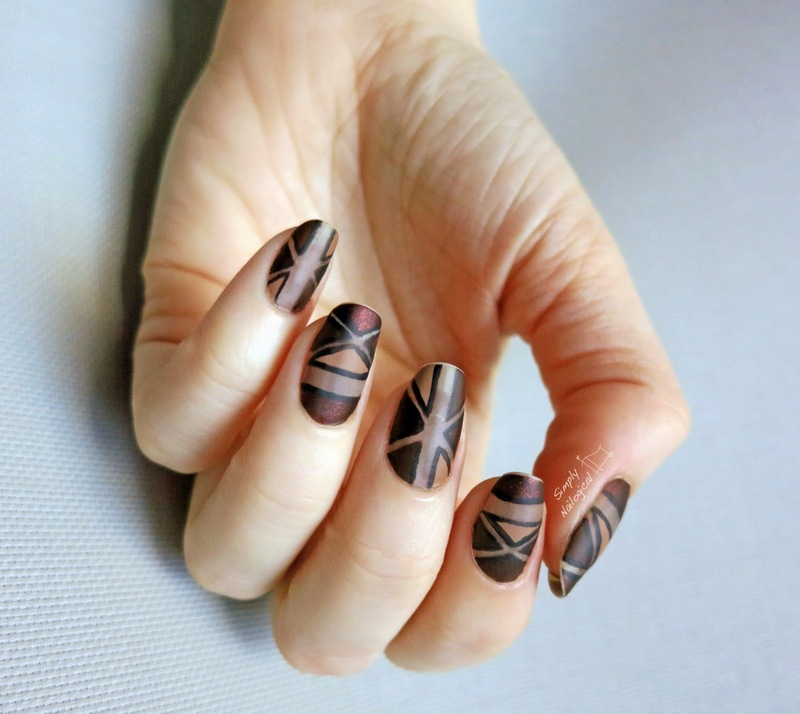 and then apply skinny striping tape in the appropriate patterns to create the triangles. 3) Paint in the triangles using different coloured polishes. Don't worry too much about bleeding since you will cover up the edges in the next step. I used three different browns here. Do one nail at a time and then remove the striping tape. Let dry. 4) Use a very thin paint brush and line the edges of all the triangles (freehand style) with black. I recommend using black acrylic paint for this as it's easier to work with than nail polish. Don't miss a line like I did (can you spot it?). 5) Optional: Apply matte top coat. There's some glossy pics of this mani below, but I really think the matte version is much better here. Forward-facing pics of this mani glossy didn't turn out so well because the reflection was just too harsh and it distorted all the browns. Easy fix: mattify! Crappy pic but I wanted you to know that I actually have two hands, not just one. This is lovely! I especially like the matte version. From Canada eh, love my fluffy children, my nail polish collection, and painting on my 10 tiny canvases. 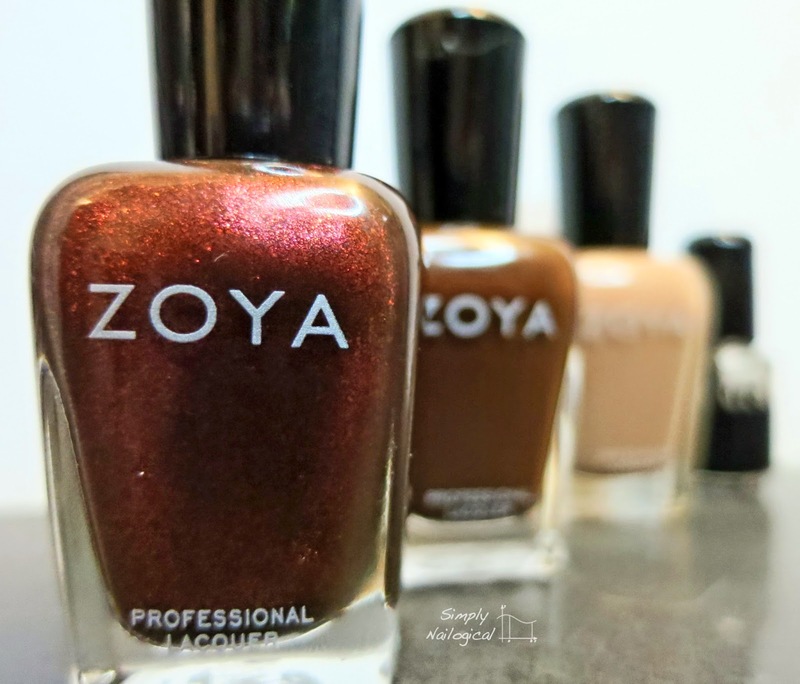 © Simply Nailogical, 2015, all rights reserved. Simple theme. Powered by Blogger.